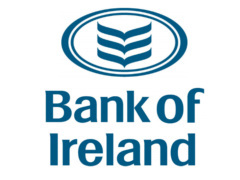 Bank of Ireland is set to appoint rent receivers in a bid to clamp down on buy-to-let investors who “divert” their property income away from the bank. Buy-to-let mortgages have been the worst performing for a series of banks, with Bank of Ireland’s buy-to-let book valued at €7 billion. He said they would look to appoint rent receivers to deal with the problem. Mr Boucher also said that the bank was not engaged in government proposals to shift tens of billions of trackers away from Permanent TSB and AIB.